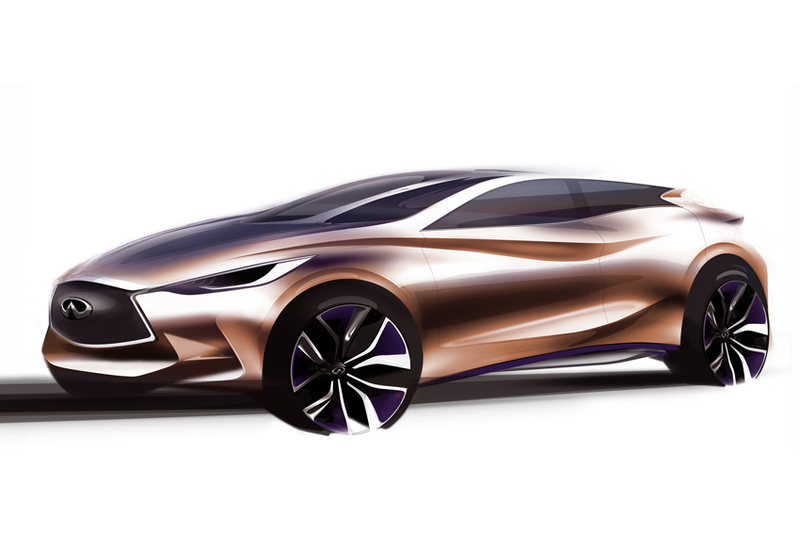 Infiniti will stage the world premiere of its Q30 Concept at the Frankfurt Motor Show in September. The Infiniti Q30 Concept signals the contemporary design vision for a compact Infiniti vehicle which will target a new generation of premium customers. be unveiled at Infiniti's press conference, the Q30 Concept is the next step in Infiniti's foray into new premium segments. It embodies Infiniti's vision to deliver head-turning design, innovative materials with precise fit and finish and passionate craftsmanship. "This Infiniti Q30 Concept is a prelude to the product portfolio expansion which underpins our aggressive global growth strategy," said Johan de Nysschen, President of Infiniti Motor Company, Ltd. "In our quest to appeal to the modern, young-minded premium customer, the Infiniti Q30 Concept has a distinctive style and reaches new levels of product quality." It represents the latest evolution of the Infiniti design philosophy introduced with the Infiniti Q50 which had its world premiere at the North American International Auto Show in Detroit in January. Like the Q50, the Infiniti Q30 Concept also incorporates dramatic design cues from the visionary Infiniti concept trilogy - Essence, Etherea and Emerg-e.
Infiniti envisions provoking a radical shift in the premium compact segment. The adventurous design and graceful athleticism of Q30 Concept inspire greater expectations of what is possible beyond the designs dominant in the market today. "Q30 Concept is slender, sleek and seductive," said Alfonso Albaisa, Infiniti Executive Design Director. "When you see speedy big cats, like cheetahs, they have a slenderness and a lightweight stride. It's almost like they're floating. That's the muscularity we were aiming for with Q30 Concept."